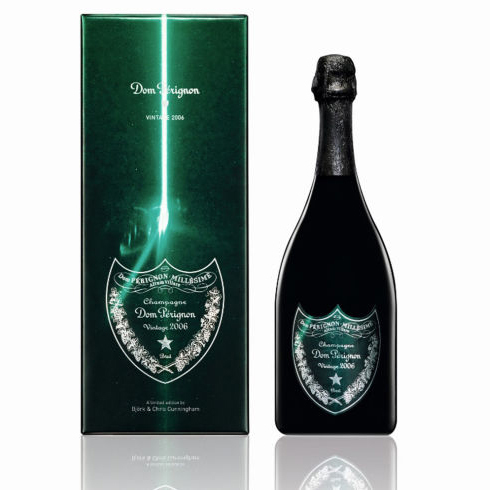 The new limited edition from Dom Perignon designed by Icelandic singer Björk who teamed up with English music video director Chris Cunningham to design for Dom Pérignon's Vintage 2006 release. The green colour of the label and gift box is a nod to the holidays. Together, the Björk and Chris Cunningham imagined a shining beacon of animated earthy green light the designed was inspired by the theme "From Earth To Heart".